In the home aquarium, alkalinity is one water parameter you need to monitor and understand if you're going to keep delicate marine invertebrates happy and healthy. Alkalinity plays a role in corals' ability to absorb calcium and maintain their skeletons. Saltwater creatures require extremely stable water parameters. Monitor water values closely, particularly in a reef aquarium. You can describe alkalinity in a number of ways. Technically, it is a measurement of a given water sample's ability to neutralize acids. Functionally, this is the same as a measurement of how much calcium carbonate is dissolved in aquarium water. This ties in with pH, a measurement of how acidic water is. Water with a high alkalinity will also have a high or basic pH rather than an acidic one. Dissolved minerals like calcium carbonate also contribute to increased water hardness. Since you can describe and measure alkalinity in several ways, you can describe it with a few different units of measurement, including German degrees of hardness or dKH -- the German word for "German" starts with a "d" and they spell carbonates with a "K." However, test kits may also produce measurement in parts per million (ppm) or milliequivalents per liter (meg/L). You want your aquarium water to have 7 to 11 dKH, which is the same as 125 to 200 ppm or 2.5 to 4 meg/L. Many saltwater aquariums prominently feature corals and other invertebrates that absorb calcium from the water. Corals depend on hard, alkaline water rich in calcium carbonate to make their hard structures. Even soft corals need alkaline water, since they have calcium-based structures embedded in their tissues. Without alkaline water, corals and other invertebrates cannot make calcium-based structures. In reef aquariums, you need to monitor your alkalinity levels to make sure these organisms can survive and thrive. 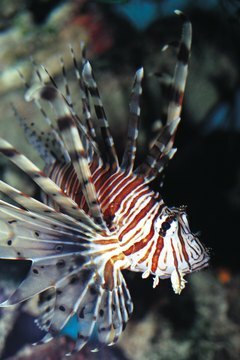 While testing alkalinity can be critical, you may not need to monitor it for all marine aquariums. In a fish-only aquarium, you can skip this measurement. For such tanks, pH and hardness tests give you a sufficient picture of what's going on with this aspect of water chemistry. However, in reef aquariums, or any saltwater aquarium featuring inverts with shells or exoskeletons, you should test alkalinity weekly, along with pH, hardness and other parameters. You should also test if you see any signs of trouble, like slow growth or otherwise unhealthy looking corals.